Here are some publications that might be of interest to you—some are produced by our own organization; others are external but relevant to Mayne Island. 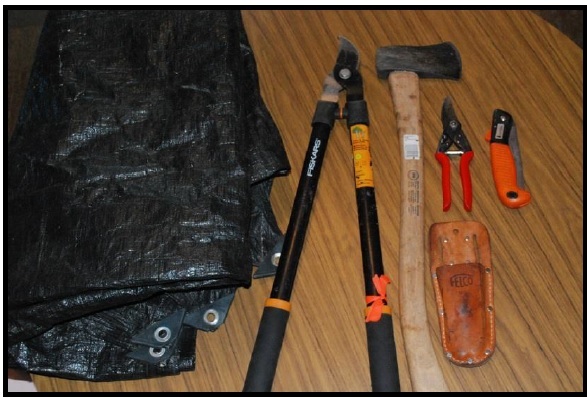 Here are the methods we recommend for the mechanical removal of a few of our most important invasive plant species. 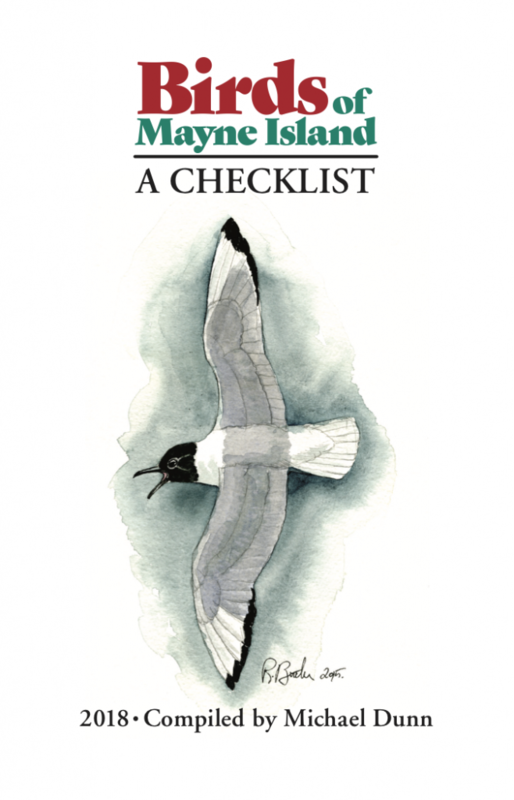 We’re proud to present a new and updated version of our popular checklist of Mayne Island birds, featuring not only the birds of our island, but details on where and when to look for them. The updated checklist includes 15 new species that have been confirmed for Mayne Island. These records, compiled by Michael Dunn, are a compilation of over 40 years of observations recorded for Mayne Island in Christmas bird counts, other bird counts, and individual records from birders on Mayne. Checklists are available from Nomad Essentials, Happy Tides, Books on Mayne, the Tree Frog Gallery and from the Conservancy office. The minimum price is $5.00. 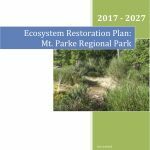 Mount Parke Restoration Plan We have recently completed a ten-year habitat restoration plan. The plan describes the steps the Conservancy will take to manage invasive plant species within the park, to keep it natural in the long term. Scotch broom, daphne, and English holly were spreading in the park, but have been removed over the last two years by Conservancy staff and volunteers. Following the maintenance plan will ensure the park is kept free from these damaging species in future years. 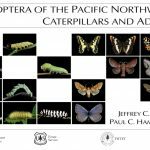 Lepidoptera of the Pacific Northwest; Caterpillars and Adults. This is a fantastic publication with pictures of butterflies and moths in their adult and larval life stages. A great reference guide for anyone interested in moths and butterflies. The publication was written by two scientists from the University of Oregon; Jeffery Miller and Paul Hammond. Wetlands and Amphibian Habitats of Mayne Island. 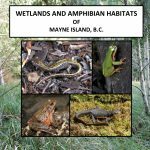 This report was created in 2014 by Rob Underhill about amphibian species and their habitat on Mayne Island. 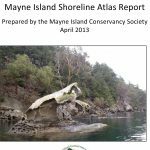 In April 2013 the Mayne Island Conservancy’s work on shoreline ecology culminated in the publishing of the Mayne Island Shoreline Atlas Report. The Conservancy is grateful to Environment Canada’s EcoAction Community Funding Program for much of the funding that made this report possible.